We have been thrilled by the feedback we have received for Localscope ever since the v2 release. The idea of a Location browser that allows discovery and search of diverse local information and rich media is turning out to be more useful to people than we had imagined. Our users are loving it and the App Store comments are flowing with positive reviews. We want to thank everyone of you who have downloaded Localscope, we couldn’t have made it here without you. 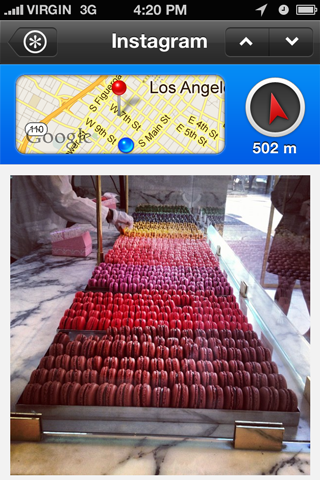 For every location found within Localscope, a mini map gives users a quick look at the point of interest on the map. Though the mini map gives users an approximate idea of the location, it doesn’t provide the pinch, zoom and pan functionality to further dive into the map and see more details. 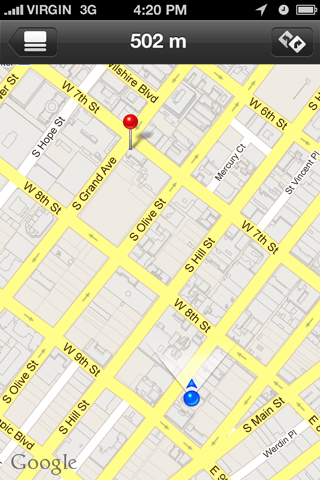 To view the exact location on the map, users had to either switch to the map view (from the list view) or optionally use the navigate button to view it in the Maps app. In 2.1, we are enabling users to view the location on a map by introducing an interactive Full Screen Map view right within Localscope. Tapping on the mini map now, opens up a full screen map view giving the user a quick bird’s eyeview of the point of interest and its surroundings. Further, if the user wants to navigate to the location, they can hit the navigate button on the screen and navigate to it using one of the 12 integrated navigation apps. 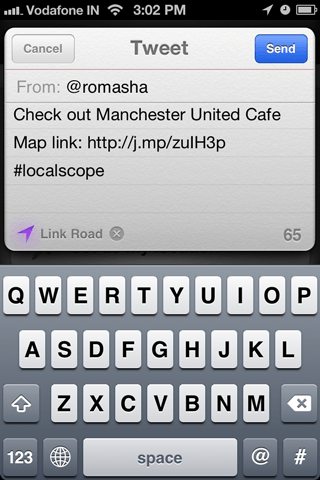 Localscope now leverages the iOS5 Twitter integration providing a consistent experience for users to share their location or points of interest via Twitter. If you like a location that you want to share over Twitter, a Tweet sheet will be presented with a default message and a link to the location. You can customize your message and tweet it to your followers. The native app integration offers an easy way to share locations over the traditional app switching mechanism. YouTube results now show fresher video content around a location so you can see the most recent video around a location. While the Facebook source has been tweaked to present more relevant results. Picasa source too has some improvements - the detail view of an image now provides relevant information about the image in the more details section. Localscope now speaks Turkish! Our Turkish users can now use Localscope in their native language. With this new addition, Localscope is now available in 20 languages, enabling iOS users worldwide to use Localscope on their devices in their native language. Due to a recent change in their API, the Twitter source was not providing results in Localscope. The new update fixes this issue. This is important for Localscope users using iOS4.2 or older versions of the OS. The next update of Localscope will require a minimum iOS 4.3 or higher versions. Users with older iOS versions are recommended to download this update and back it up using iTunes.